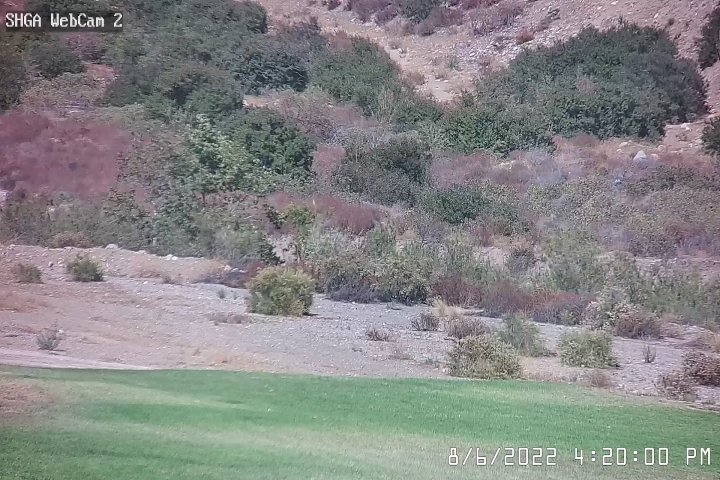 Paraglider pilots are welcome at Sylmar. While our flying site is dominated by hang gliders, it can provide excellent paraglider flights for pilots prepared for a relatively challenging P-3 (intermediate) rated site. Sylmar is an inland desert flying site, with thermals and turbulence as strong as one will find anywhere. Climb and sink rates will often exceed the range of one's vario, and going weightless is not uncommon, particularly midday and in summer. Especially during the summer months, paraglider pilots usually choose to fly before 11:00 AM or late in the afternoon. There are two launch ramps on Kagel Mountain. Hang glider pilots launch from the hill, while paraglider pilots launch from the saddle just west of it, as it provides a better place to lay out wings. Both must be aware of launches at the other ramp to avoid conflicts, and courteous pilots will avoid parking cars or setting up gliders in a way that blocks either ramp. In the air, not all pilots are experienced with soaring in mixed company, so particular care is required. For example, paragliders and hang gliders can circle together in the same thermal most comfortably if the slower craft flies smaller circles than the faster one. The landing zone is small, and often turbulent due to trees and development to the west, and the elevated subdivision to the east. For these reasons, hang gliders will virtually always make a left-hand downwind-base-final approach. Paragliders should do the same, as shown on the maps here, especially if there are hang gliders anywhere in the area. This allows all pilots to see each other and establish a safe spacing to avoid landing conflicts. 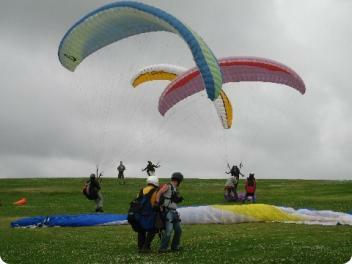 On the ground, paraglider pilots should drop their canopies immediately and move clear of the landing area. Kiting in the landing area is discouraged mid-afternoon while pilots are most likely to be landing. Speed-wings, or mini-wings, remain uncommon at Sylmar. Because of the different objectives of speed-wing pilots, they typically choose not to make the glide out to the LZ, but instead stay closer to the terrain and land in the vacant land at the foot of the mountain. Until there is further experience, SHGA has chosen not to place any restrictions on speed-wings, besides those that apply to paragliders in general. However, speed-wing pilots are strongly encouraged to discuss the site and potential safety concerns with Kia Ravanfar (), the most experienced speed-wing pilot at this site. SHGA-approved paragliding instructors are listed here. Paragliding instructors may also be found at Crestline, Santa Barbara, and Torrey Pines. For access to the Kagel Mountain launch, pilot requirements, and directions to the Sylmar Flight Park, please read the Overview.